During the afternoon of Spanish day we thought about the harvest and where in the world the food we find in supermarkets comes from. 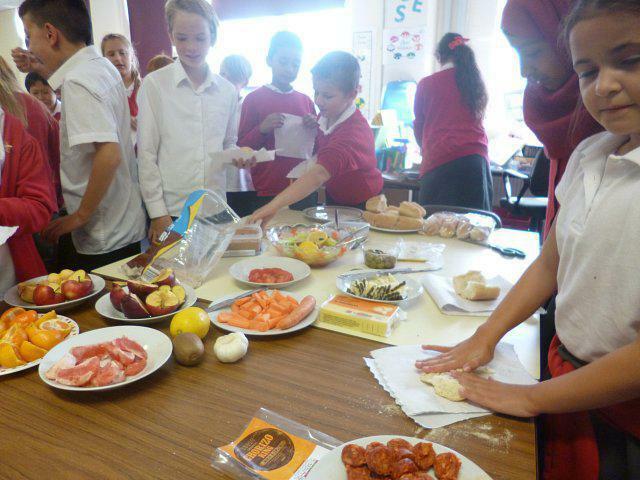 We got to try lots of delicious food that has been imported from Spain. We had spicy chorizo, Quesa Iberico (Iberico cheese), el pan (Spanish bread) as well as apples, satsumas, olives & other items. 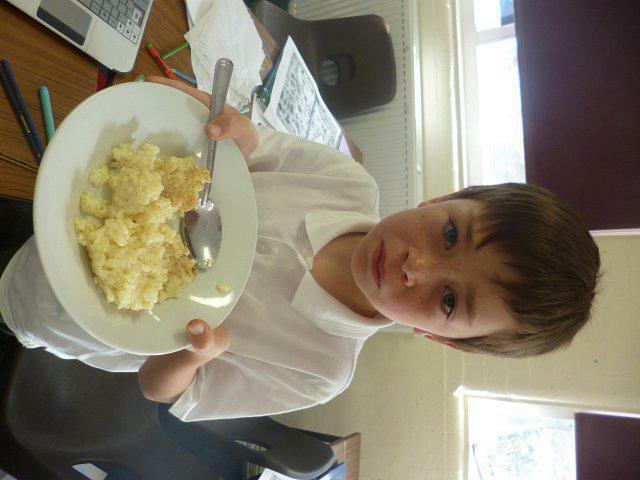 Sam is trying Mrs Rahim’s Spanish rice pudding with cinnamon & orange, mmmmm sweety goodness!